After its last episode on climate change, the worldwide issue we don’t talk about enough, Altamar sets its sights this week on migration: the worldwide issue we can’t seem to escape. All around the globe, the mass movement of people, particularly when forced by circumstance, is reshaping societies and, importantly, shaking up politics. Peter and Muni focus in this episode on three specific migration flows: Central America—>US; Venezuela—>South America; and MENA—>Europe. 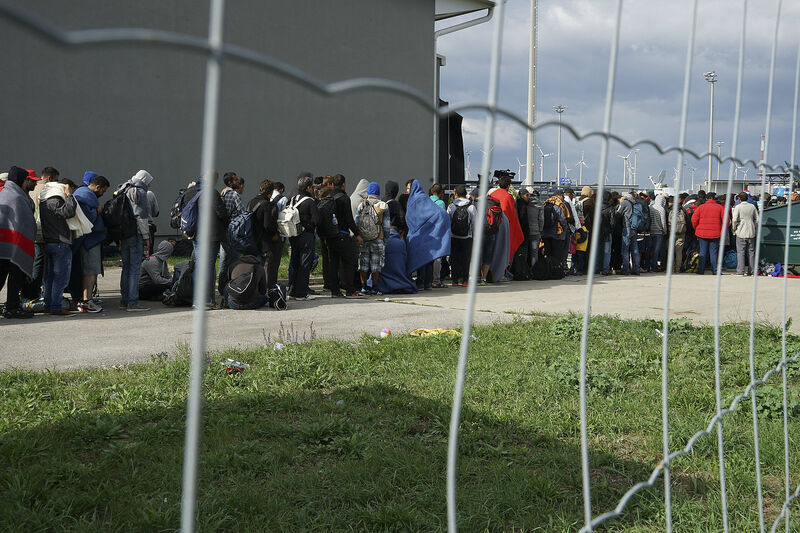 To get a sense of the political impact of these three nodes of the global migrant crisis—and their contribution to populist politics in recipient countries—the hosts talked to two bona fide experts on the subject. Peter and Muni are joined this week by Andrew Selee, president of the Migration Policy Institute and a lifelong follower of migration flows in the Western Hemisphere and beyond, and María Peña, Washington correspondent for La Opinión, whose work has immersed her deep in the political battle over the Central American migrant crisis. María says that, to put the US backlash against Central Americans fleeing violence and destitution in context, one need only remember that it’s not always the economy, stupid. The logic holds true in another key election this past weekend across the Atlantic: Sweden’s. The country’s far-right, virulently anti-immigrant Sweden Democrats saw a surge in support, sweeping just shy of 20% of votes in a country where wealth inequality is impressively low and a steadily growing economy has produced gains for all, not just some. The rise of the Sweden Democrats in the face of the country’s strong economic performance undercuts the theory that nativism ultimately has its strongest roots in economic anxiety. Andrew notes that South America, whose countries run the gamut on economic performance but are overall in a bit of slump, is nonetheless showing great magnanimity in the face of its own refugee crisis. “Venezuela’s is one of the biggest refugee flows in the world, and what we’ve seen is that most countries have actually tried to make it easier for people to come in. There’s been enormous solidarity. And there’s some grumbling here and there, but there’s not a huge pushback yet,” he says.